Bamboos are part of the grass family and are one of the fastest growing plants in the world, capable of growing 100 cm or more per day. 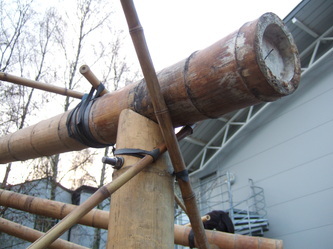 Bamboos are of notable economic and cultural significance in East Asia and the South Pacific, being used for building materials, as a food source, and as a versatile raw product. 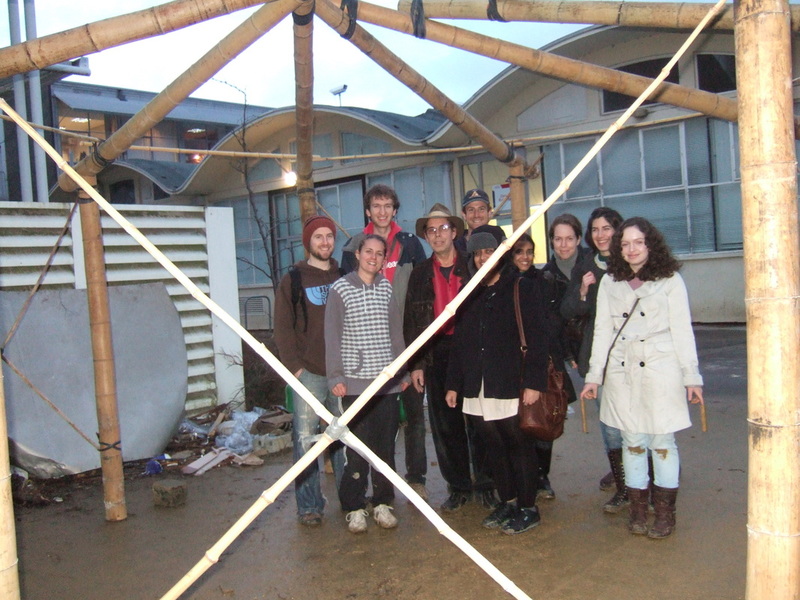 During the workshop, a hexagonal structure comprising a reciprocal roof was constructed using basic tools. 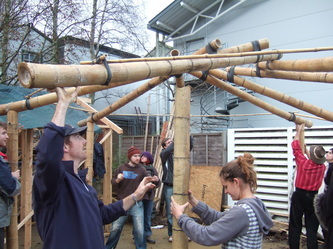 The finished structure could then be clad with any available material or woven bamboo matting, making it an ideal construction technique for post disaster relief. 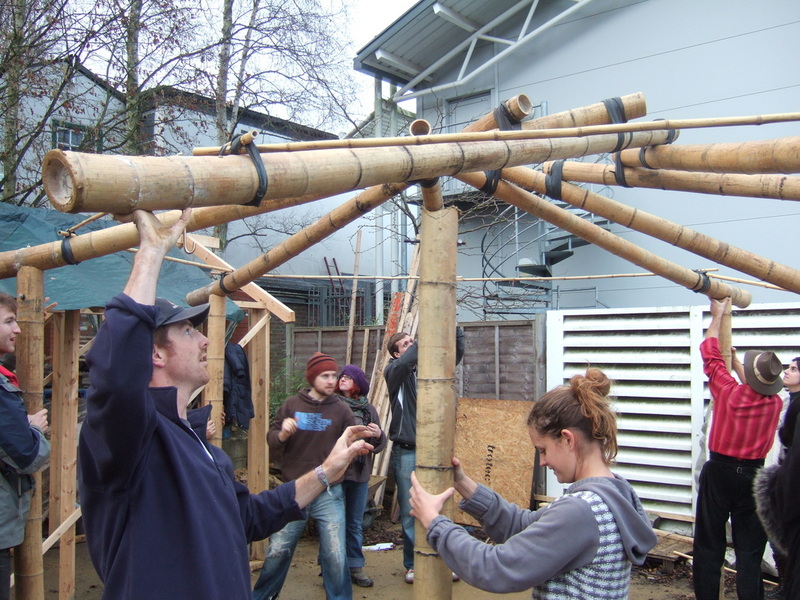 A reciprocal roof is a self-supporting, round structure composed of interlocking beams that equally bear the weight of one another. 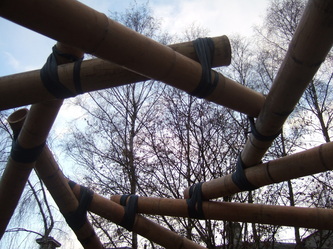 Composed of as few as three beams, a reciprocal roof can incorporate practically any number of beams and span great distances while still maintaining its integrity. Best suited to round structures, this style of frame is incredibly strong, and twists upon itself rather than spreading apart, when pressure is applied from above. 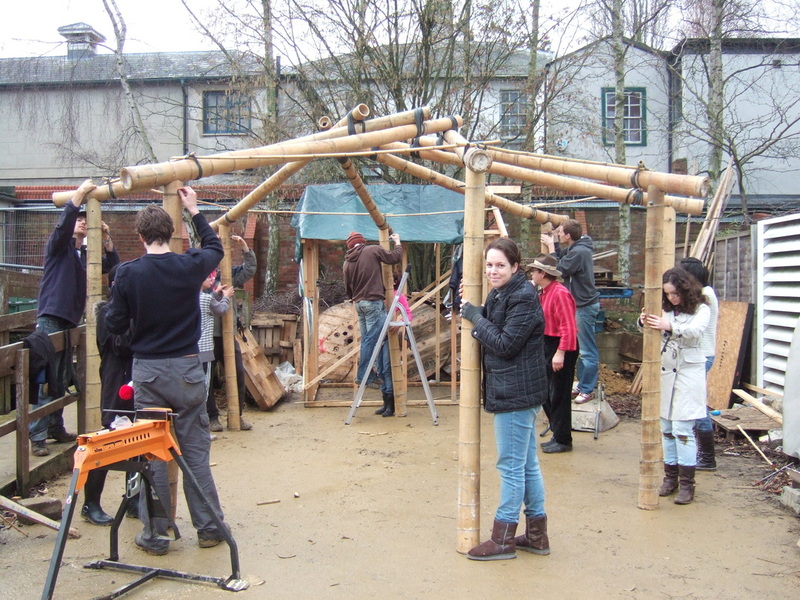 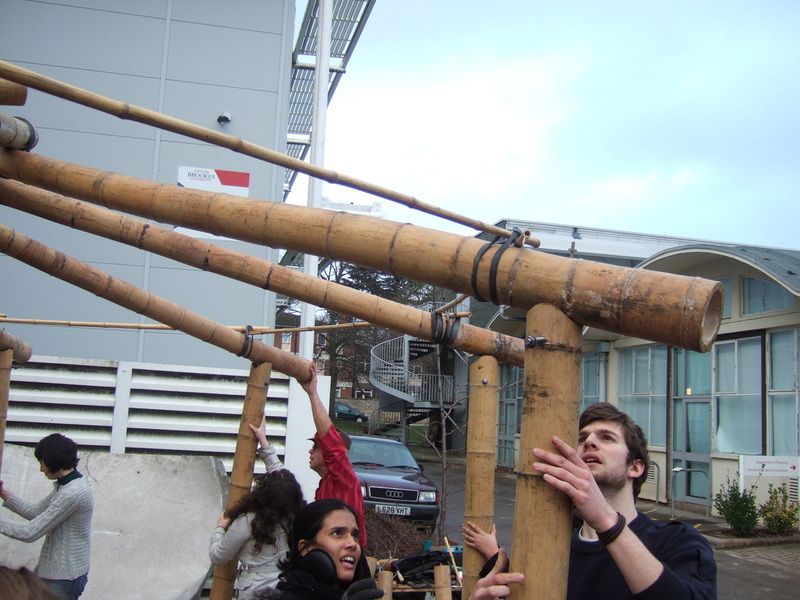 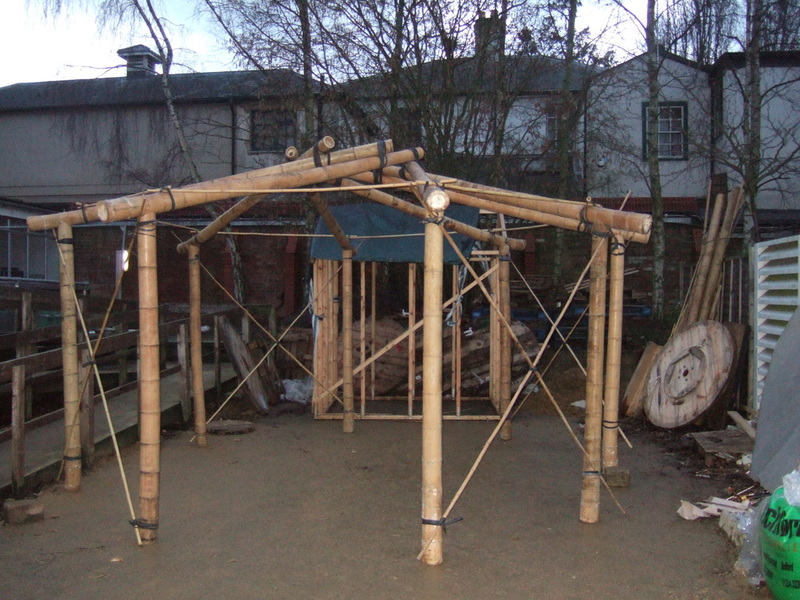 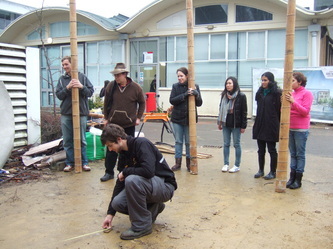 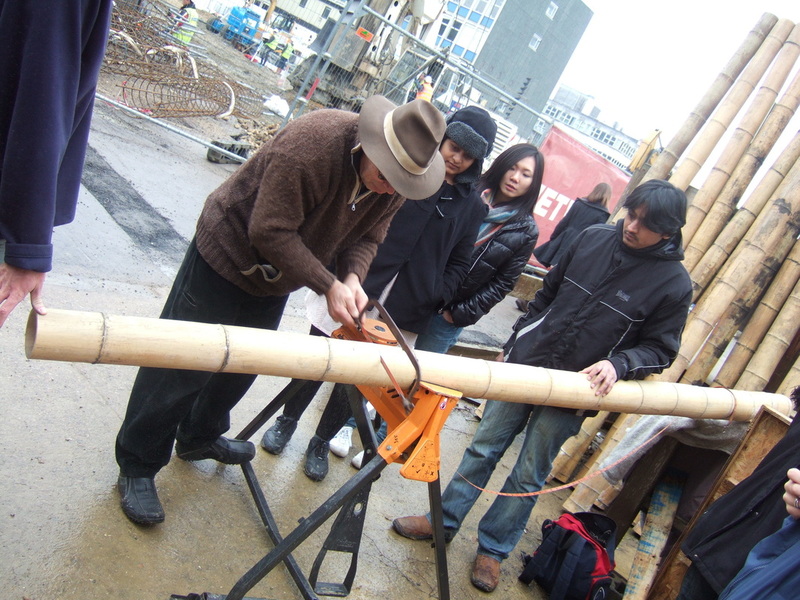 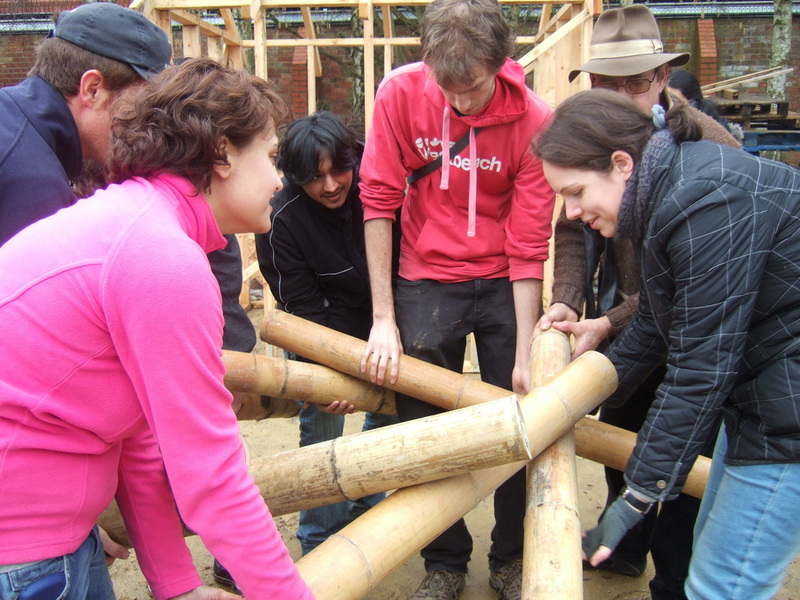 At this workshop eight lengths of bamboo were used to form the roof structure. 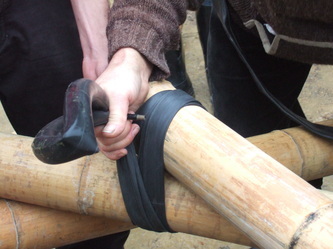 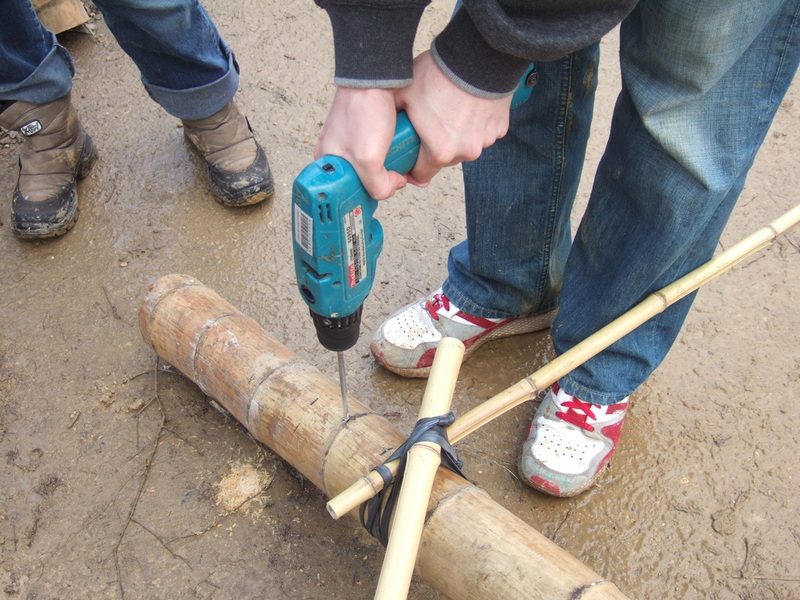 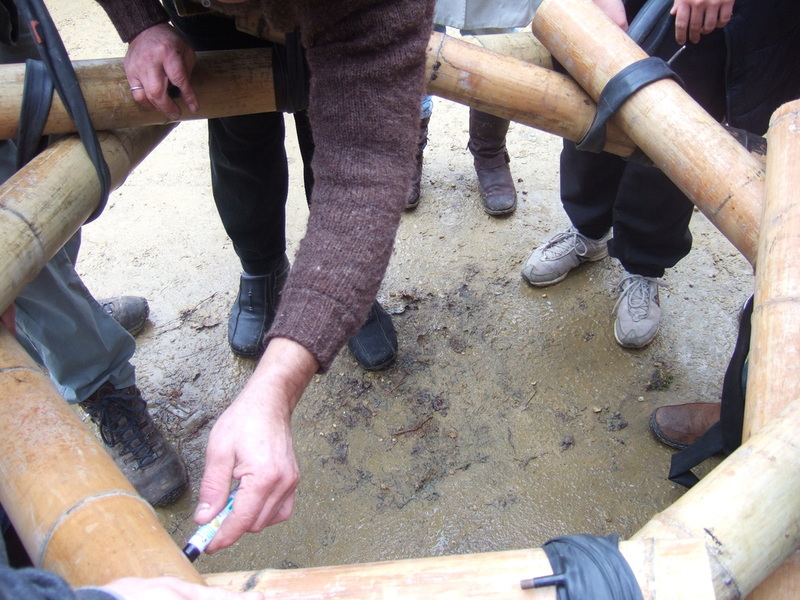 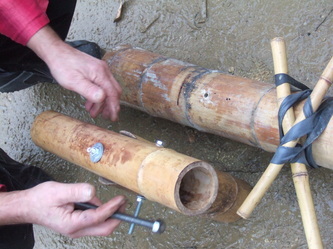 The interlocking bamboos were secured with rubber (bicycle inner tubes), which reduces slip between the junctions. 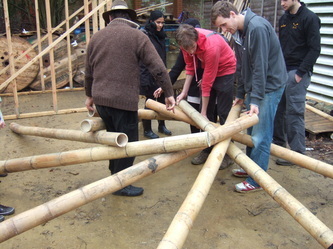 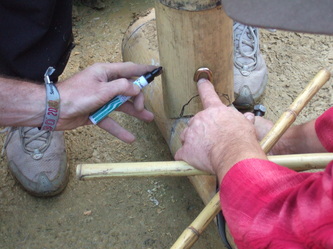 'Bird mouth' joints were then cut out of the supporting bamboo columns, onto which the final roof structure was raised onto and secured.